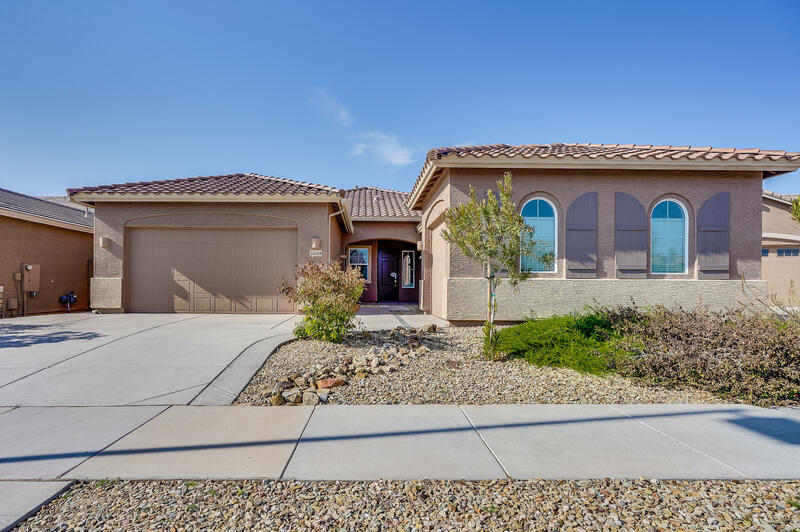 All ASANTE homes currently listed for sale in Surprise as of 04/23/2019 are shown below. You can change the search criteria at any time by pressing the 'Change Search' button below. "Beautiful Lennar home with NextGen suite! Single level 4 bedroom, 3 bathroom home with a 3 car garage. Home has 3 bedrooms and 2 bathrooms with living areas and a great kitchen. Grand master bedroom with an ensuite bathroom and a spacious walk-in closet. Guest quarters has an entry point from the main house. The guest quarters has a kitchen, living room, laundry room, 1 bedroom, 1 bathroom, 1 car garage. Large backyard with a wonderful back porch. Don't miss this home!"